Aura Pro is an entry-level carbon-fiber bar for all types of solo race against the clock. Aura shares its basic architecture with Mistral, but its carbon-fiber basebar has a simplified top skin and top-mounted extension clamps. It lacks Mistral's multiple elbow-rest positions, but is lighter. Aura Pro meets UCI rules and is often fitted by pro race teams. I bought it for use on my Argon 18 TT bike. It is cheaper than other sites and the product itself is excellent. 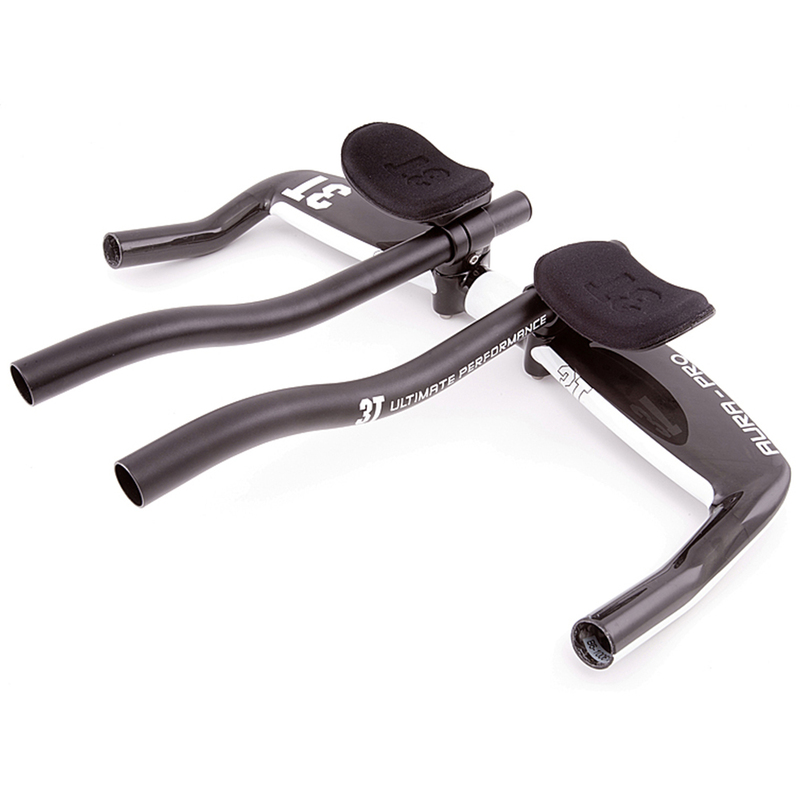 It is made of carbon aerobar and aluminum TT bar. It is light and beautiful and is used very satisfactorily. It is the best TT handlebar. These are a direct replacement for the cockpit setup on my Cervelo P2. Product is great, and there's a couple of nice upgrades to my original bars. Replacement for set that got damaged. Went for like for like as no major issues with these ones. All adjustability that I need and comfortable wings for use when climbing. Only thing is that it's hard to get torque wrench onto small allen heads to tighten extension bars in place. Spec on them is just 3Nm. Great value, very adjustable and comfortable. Not the lightest but didn't expect them to be. Exceeded expectations.